Welcome to the fundraising page of our website, where you can gather ideas and get assistance in raising funds for your challenge event. We sincerely hope we can provide some inspiration! Remember, the first challenge is to raise funds before your actual physical challenge, wherever in the world that may be! Our Global Adventure Challenges change people’s lives, literally and a major part of this life-changing experience is the contribution you put into your fundraising. Remember, fundraising should be all about having fun and the more fun you have, the more funds you will raise for your charity. Always try to think of wacky ways to boost the profile of what you are doing – for example, if you are holding a collection somewhere, fancy dress is always popular! One golden rule – always remember to tell everyone (yes EVERYONE!) that you are fundraising for your challenge, you'll be surprised how many people get involved in one way or another. Remember to keep people informed of what you are planning to do, what you are looking for and how it will benefit others! And don't be afraid to ask for support; if you don’t ask for it, you probably won’t get it! The quickest and easiest way to start fundraising is through sponsorship – whether this is online, or through the traditional method of sponsor forms. 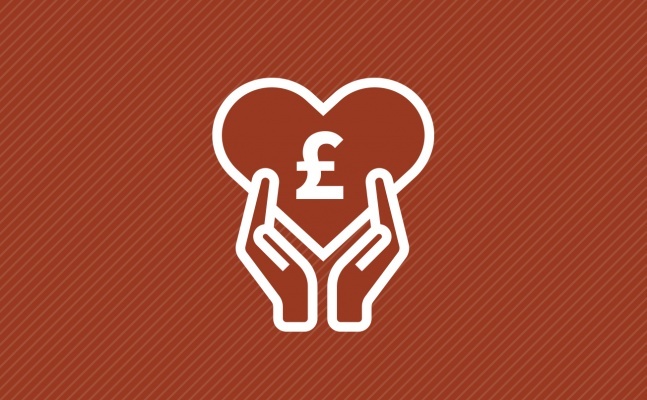 There are various online methods in order to raise sponsorship and you will need to confirm with your charity exactly which service provider they use. Setting up your own personal online fundraising page couldn’t be easier though – you do not have to be an IT wizard, we can assure you! Include your link as part of your email signature at home or at work – you will be surprised at how many people sponsor you by clicking through from your emails. Try to encourage individuals further by making your link funny or comical. Try to include images on your personalised fundraising page and always try to update it with success stories and information about your training! Be sure to test your link is working by sending an email to yourself first! The good ‘ole sponsor forms! These are still very widely used, despite the development of collecting sponsorship online. Remember to take these forms everywhere you go, and always remember the golden rule – do not be afraid to ask anyone! Fundraising is all about asking people to help others, and you should get used to asking sooner rather than later. Another advantage of sponsor forms is that you can give them out to family and friends to share around their social circles/workplace on your behalf. Same goes for your local shops too (or any services/people you see/use regularly) – they may be willing to collect sponsorship for you! For further advice on how to set up your online page or to obtain sponsor forms, please contact your chosen charity directly. In addition to collecting sponsorship, it’s vital to boost your fundraising through other avenues. The workplace isn’t just for work! Try to encourage your employer to support you in your fundraising efforts. The ultimate goal will be to see if they will match your sponsorship pound for pound – if you are successful in this, then your fundraising target can be doubled! Most businesses are proud to support staff when taking on a challenge of this nature. More tea vicar? – Try and make all the cups of tea and coffee for your colleagues and ask them for a small donation in return, you will be surprised how much this can raise over a few months... that’s a lot of cuppas! Communicate! – Remember to tell your work colleagues everything you are doing and have planned. For example, they may be able to donate items for a car boot sale or raffle, they may know someone that can provide a free service for a quiz night – the possibilities are endless and if you don’t ask, you don’t get. Your colleagues can then attend and support at any of the events you have planned! Suppliers – speak with your boss and see if you can contact any suppliers that work closely with your employer. After all, it’s in their best interests to sponsor you as they will appreciate further business from your boss! Remember, if your employer does support you or shows interest in your fundraising efforts, remember to highlight that you will give them free publicity! Local schools – Perhaps you can hold a dress down day, asking every pupil to bring in 50p/£1 for the privilege – this can raise in excess of £100! Another idea would be to see what events the school is running, maybe you can run a stall at the Xmas/Easter/Summer fete – you could paint children’s faces, or hold a coconut shy! Churches – These are fantastic for support and can be very generous if you ask! See if they can help by making a collection for you. Local businesses – Some may be willing to sponsor you! Whilst writing letters is a great way to spread the word, they often get overlooked. Face to face is ALWAYS the best way when looking for business support, especially if they are local to where you live and you can give them free publicity! Try going to your local cinema to see if they can donate free tickets for you to sell on/raffle off… the limits are endless so start thinking! Local clubs – Do a bit of research to see what happens locally and try to get them involved with a fundraising initiative. For example, your local weight loss club could do a sponsored weight loss with their members for just one month. Pounds for pounds! Be sure to check out your local Rotary Club too – they are normally very generous with their charitable giving. One person’s waste, is another’s gold! Collect as many old mobile phones from your family, friends & colleagues and recycle them with Envirophone. Call 0870 979 9652 for further information. Recycle old clothes – collect as many old clothes as you can from your own wardrobe, friends and family. Then find your local clothing recycling centre where they pay you for each kilogram. Instead of donating cash, ask friends and family for any unwanted quality items that you could sell off at a Car Boot Sale. Attics and garages are a good place to start looking! Hold your very own Food Night! It’s simple...contact your local restaurant and explain who you are fundraising for and what you’re looking to achieve. Ask them to put together a set menu for you (for example - a starter, main and drink) for a set cost per person. It’s always best asking them what their quietest night is – they’ll probably help you more and appreciate the extra business. Simply add £10 per head onto the cost of the set menu and promote your event, inviting as many people as you can - if you’ve got 20 people attending, that’s an extra £200! You can obviously mimic this idea for all culinary delights - Curry Night, Chinese Night, Sunday Roasts - and if you are feeling extra brave, why not cook for your friends and family and invite them round for a fee! If you are planning to hold an event always consider the time of year - Christmas, Bonfire Night, Halloween, Easter, birthdays - use these famous times of the year to aid your fundraising plans. Everyone loves a themed party and by charging a small entry fee, together with a raffle, you’ll soon be surprised by how much you can raise! Top tip: why not inform your family and friends to give you cash donations rather than Christmas or birthday presents - this works extra well if you have a landmark birthday approaching - the big 40, 50 or 60 for example! If you are a regular at the gym, regularly play sport or are part of a club, call on your team mates and competitors to organise a sporting event. Hold a 5-aside football match with other local teams, or organise a sponsored bike ride through your club. You could even see if your gym would help you organise a 24-hour sponsored spinning session…get your creative juices flowing and try to turn your hobby into a fantastic fundraising idea! It’s always worth considering what you can offer others in return for a donation. Car washing is extremely popular and successful, but it doesn’t have to stop there! Offer a dog walking service, or a babysitting service for friends, family and neighbours with children. Think of something you are good at, or think of a service that could benefit others, and start raising funds through it! Some Quick Fire Fundraising Ideas! Collections at supermarkets/sport stadiums - if you are not directly on the street, they are not considered public collections so please ensure you obtain permission off the manager before you start! Casino night at your house - a fantastic way to get your mates round for a little flutter! You can purchase home casino sets for just a few quid. Bag packing - contact your local supermarkets and ask if you can pack bags for the day, leaving buckets on the till for people to make donations. This is a numbers game – the more people you have helping, means more tills are covered meaning you will raise more money! Feeling brave? Give your head a sponsored shave! Shock tactics work great in fundraising. Garden tea parties - invite your neighbours round for a spot of tea and cake - don’t forget to hold a raffle! Start thinking like a fundraiser as soon as you can and try to recognise where people can help in your fundraising. Everyone can help. You just need to indentify how. TIME – if people cannot donate goods, unwanted items or money, then what about time? Could they help you by sparing an hour to assist with a collection or bag pack? TREASURE – good ‘ole cash and unwanted items... this is self-explanatory! TALENT – if people can’t donate time or treasure, then why not a talent? Are they good at something? Cooking? Party planning? Are they in a band that could play at one of your events? Try to get them involved by sharing what they are good at! The sooner you can identify how people can help, the faster you can achieve your goals and the more profitable your fundraising will become. It’s true, by being as organised as possible will ensure success through your fundraising, regardless of what you are undertaking. Please check out the below for our hot tips to ensure fundraising success! Be organised – be sure to make a list of what you need – lists are good! If you are doing a sponsored swim, cycle etc, remember to get your forms out in plenty of time. Enlist the support of family, friends and colleagues! Draw up a budget – are there any upfront expenses? Make sure you definitely know that your event will be profitable for the charity. Costs could be claimed back out of what you raise, but you cannot give yourself a fee. Remember, your charity can advise further on legislation. Publicise your event – local press, emails at work, posters... if people don’t know about it, how will it be successful?! Keep it legal – www.institute-of-fundraising.co.uk – a great resource! DO NOT FORGET TO THANK EVERYONE! Have fun and celebrate fundraising success!